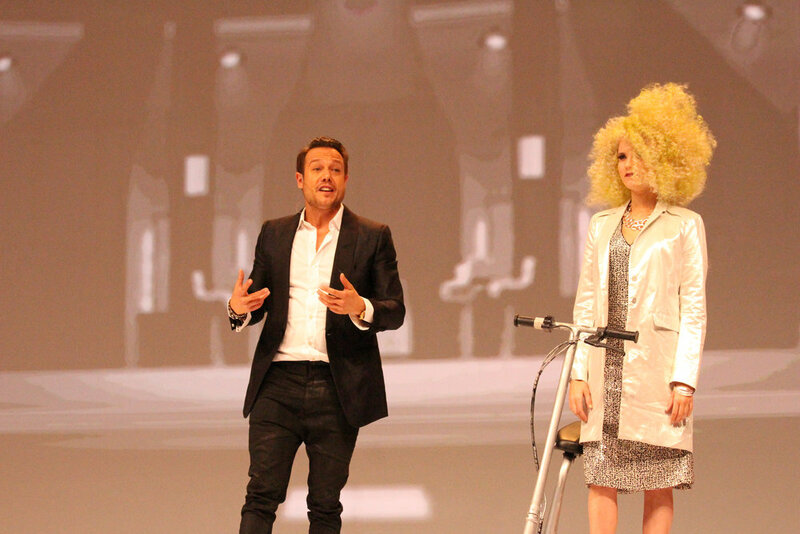 Last year, I was brought on as a #PMInsiders with Paul Mitchell to spread the word of awesome hair products. I was offered the opportunity to work with Paul Mitchell Schools for Caper 2017 as a model and a brand ambassador for their runway show, featuring 'behind the scenes' clips in my Instagram story and feed throughout the event. So, what is Caper, anyway? I was able to speak with John Paul Dejoria, Angus Mitchell (the son of Paul Mitchell), Winn Claybaugh, and a few others about exactly that. Angus told me a little bit about the company saying, "I think what makes our company so different from any other company out there is the way that we look at things, always trying to bring the positive light and leaving the negative behind. We need to look at life in a way that we can continue to give love, and also to receive love." 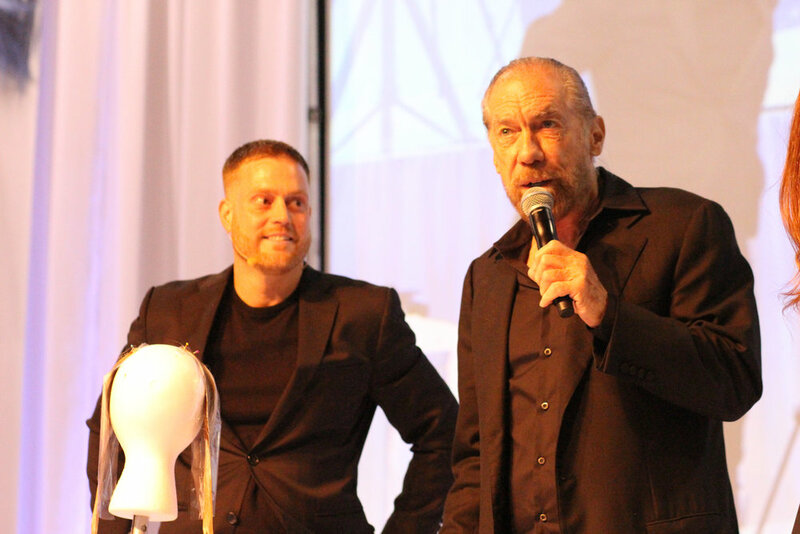 John Paul offered some insight into the mission behind Caper, saying, "Our culture at John Paul Mitchell Systems and Paul Mitchell Schools is sharing, loving one another, and doing something good for one another to change all mankind." He continues, "Of course in addition to being a really good hair colorist, hair stylist, hair cutter, merchandiser and everything that comes with the professional beauty industry. But with great pride, we love to give back, and that's what we're doing here. ...We're all together here in harmony, and peace, love and happiness." As a model, I spent the majority of my time between the wardrobe room, the makeup room, and the styling room, where Jeanne Braa Foster braided my hair into the most amazing style, but it wasn't all about the hair, in my case. I was asked to model for "Eyes on Cancer", wearing an incredible white kimono with a long train, and Jeanne styled me in one of her hat designs on stage. The designs are a series of hats and headscarves that have hair attached to them, for convenience, for cancer patients. Jeanne's idea is that beauty industry professionals should learn a thing or two about recognizing potential dangers in their clients that may be cancerous. 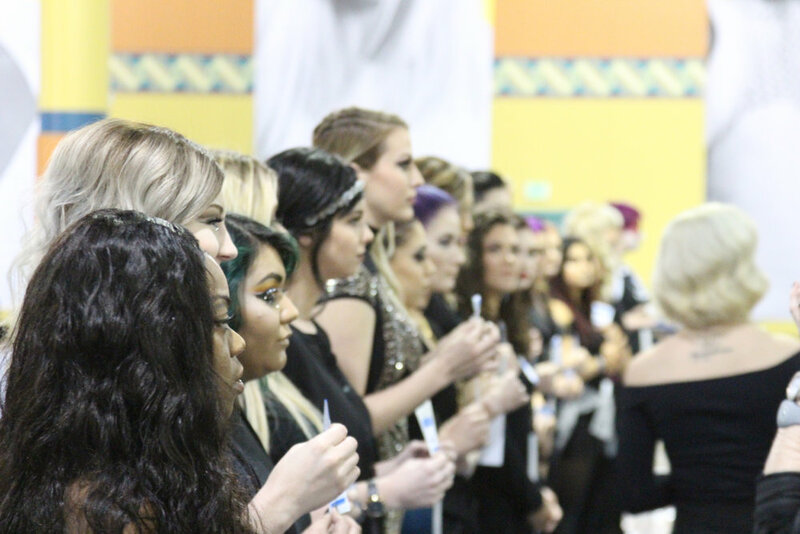 Paul Mitchell School's Caper 2017 was a huge success. Every future professional that I passed in the halls had a smile on their face! Robert Cromeans explains, "...2,500 professionals. These are hair dressers to be, one day. They sold their way through bag deals, like girl scout cookie saleswomen. They got here and they got the best education." 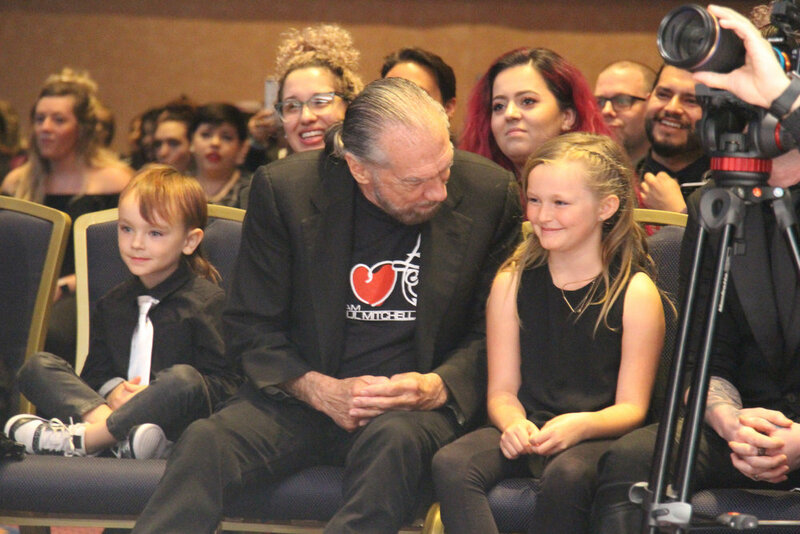 John Paul Dejoria, co-founder and chairman of John Paul Mitchell Systems, tells me that there are nearly 120 Paul Mitchell schools throughout the US, and as a 'Thank You' to a portion of their 17,000 graduates each year, they organize this event that we know as "Caper". John Paul says, "We take a couple thousand of them that have done an exceptional job, really good at what they do, and as an extra reward, we pay for their airfare, hotel room, meals, and bring them here to Orlando, FL, or other parts of the United States..."
Even in the amount of time that I'd been an Insider for the company, promoting and using their products, I didn't understand how positive and generous these people were, and I certainly had no idea how big and successful their schools were, nor how many future professionals attended them.